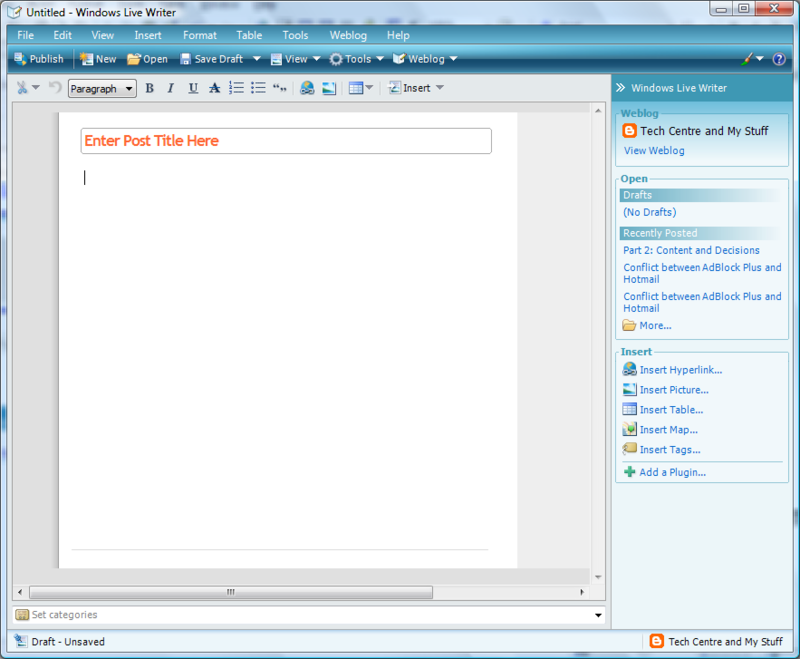 Freeware Pick of the week:Windows Live Writer! Windows Live Writer is a desktop blogging client. It allows you to add multiple blog accounts. The client is easy to use and has bundles of features. You can add pictures, videos, links, emotions, tables, etc. In addition, you can save drafts, see your posting history, restore articles, view html code, view web view, add tags, add little gadgets and much more. There is all the editing features (Plus a inbuilt spell check) and the things that you expect plus a few little extra neat features. My Rating — 4 out of 5!